View More In Matcha Bowls & Whisks. 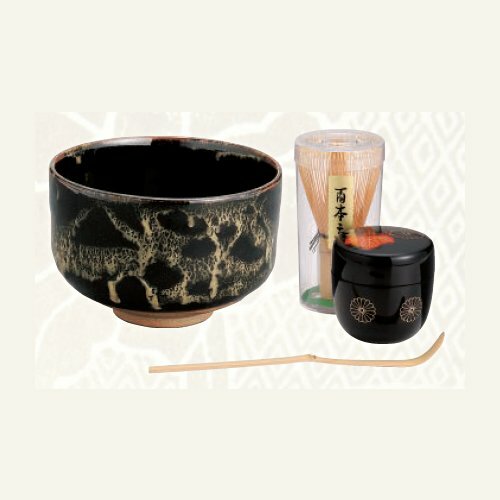 Natsume is a container that you can store matcha that you would use for Otemae (artistry and experience in the formalized manners of the tea-ceremony) of Sado. The origin of name is, it's similar to the shape of Jujube, the plant. You can put matcha in it, spoon it up with a teaspoon, then make matcha. There are a lot of variation of design and shape. It's popular for a collection as well. [FreeShipping-Worldwide] Standard ship by Int'l e-packet: with Tracking & Insurance. You can receive the item about in 7-10 days worldwide. *For people who are in a hurry, please make sure to select Expedited ship (EMS/about in 2-5 days). *This item is made hand so it may have a little difference in color and drape. It may take time (a few weeks) from your order to shipping. Your understanding is greatly appreciated. NATSUME TEA CADDY: Natsume is a container that you can store matcha that you would use for Otemae (artistry and experience in the formalized manners of the tea-ceremony) of Sado. The origin of name is, it's similar to the shape of Jujube, the plant. You can put matcha in it, spoon it up with a teaspoon, then make matcha. There are a lot of variation of design and shape. It's popular for a collection as well. If you have any questions about this product by Tokyo Matcha Selection, contact us by completing and submitting the form below. If you are looking for a specif part number, please include it with your message.